The US plan for a "New Middle East" is moving at full speed, but did not give the result that Washington hoped Middle Eastern visionaries 15 years ago. There is no rapid formation of a peaceful, stable and prosperous Middle East to Western patterns with total US leadership, which they planned and created chaos gripped by religious fanaticism, and the region where the main external players who can counter this, become more confident Russia and Iran. The concept of creating a new "democratic" Middle East based on the premise of American power. The United States began with the fact that, by military intervention toppled Saddam Hussein. Then came the era of "color revolutions" that plunged the entire Middle East in a total mess. Then, without the involvement of Washington and US strategists error appeared Islamic Caliphate established ISIS. Who threatened to overthrow the queue are already in the US's closest allies in the region - conservative regimes of the Arabian monarchies. Remaining after Washington vacuum can take Russian-Iranian alliance. Yesterday's "axis of evil" has now become the mainstay of the entire Middle East. Russia tightens control over Syria, and Iran is doing the same in Iraq. Egypt does not hide the desire to join this axis. Oddly enough, but it is from this new alliance today depends on the survival of many Arab regimes. For obvious reasons, Israel can not become a formal partner in the Russian-Iranian-Syrian-Iraqi military-political alliance, which is rapidly increasing its position and power in the Middle East. But he is not an enemy of the Russian-Shiite alliance. At least so say in Russia. For Israel, it is important to protect yourself from a wave of radical Islamism, which represents a real threat to the Jewish state, rather than Damascus or "Hezbollah". Therefore, Russia is engaged in the business in Syria and condemns Israel for trying to force to restore security and tranquility in the country. Moreover, everyone knows that the actions of Hamas militants and fanatics is Wahhabi Qatar, generously funding is the Palestinian branch "of the Muslim Brotherhood." And Iran not to Israel, although the anti-Israeli rhetoric is still often used by Tehran in their propaganda purposes. Russia and Iran is now the most important thing - is to deliver a powerful blow to the Americans that make Saudi Arabia and other Arab members of OPEC to lower oil prices to undermine the Russian and the Iranian economy and providing itself this came to refining, to push the United States from the Middle East and at the same time stem the tide Sunni radicalism and terrorism, which threatens Russia's North Caucasus, Russia's closest ally in Central Asia and Shiite Iran. Of course, Iran and Israel are rivals in the region, although, apparently, the actions of Saudi Arabia in the Middle East is much more dangerous for Tehran than the politics of Tel Aviv, aimed at preserving the country's security. Israel does not like the fact that Russia is helping Iran to strengthen its position in the Middle East, but above all it concerns the Iranian assistance "Hezbollah." But Benjamin Netanyahu is well aware that the US did not come to his aid, even if the ISIS and its allies on terrorism seriously take on the Jewish state. The third wave of the nascent Palestinian intifada demonstrates this. The United States, of course, remain a strategic ally of Israel. They certainly try to return to the region in full force. But now it is the Russian and Iranian assistance to Damascus in countering terrorism actually contributes to the security of the Jewish state. But Moscow became for many years the dominant foreign power in the Middle East. "New Middle East", which Syria will be an important element, certainly appear on the map of the world after Russia, Iran, Iraqi paramilitary groups and "Hezbollah" crush the Syrian rebels and thereby strengthen its position in the region. After the SAR they will go into Iraq, and perhaps will go forward to the south, to put an end to those who started the "color" revolutions in the Arab world, financed by the "Arab Spring" and openly sided with the bloody murderers of ISIS " Dzhabhat al-Nusra "," Ahrar al-Sham "and" Jaish al-Islyam. " And not necessarily for ourselves, chasing the retreating troops ISIS to the south of Iraq to the Arabian Peninsula. From there, once I started Caliphate, where it should ever die. 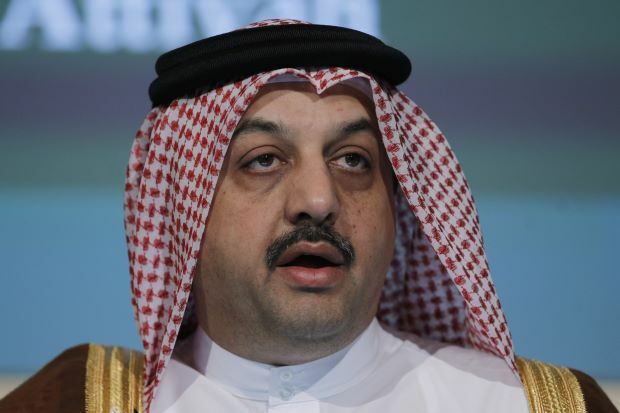 It is clear that this will lead to the collapse of the KSA by its disintegration into several parts and changing rotten monarchies of Arabia, especially in Qatar, Minister of Foreign Affairs which Khaled al-Attiyah October 21 this year He said about a possible military intervention in Syria. "We are with our brothers in Saudi Arabia and Turkey, do not rule out any possible embodiments protect the people of Syria," - with such a statement, Foreign Minister of Qatar, made ​​in his in an interview on CNN Arabic. Apparently, this gas dwarf quite insolent, if going to send his feeble 5000th Army SAR, where it will spread over 2-3 days. One can only guess what kind of anger at this emirate, completely dependent on the US and the CSA, has caused the direction of group videoconferencing for Russian operations against Qatar-fed and armed terrorists in Syria, from which is now only fly apart. In any case, the change of the political contour of Arabia will not only lead to serious positive political changes in the region, but also the global redistribution of the global energy market. Russia, Iran, Iraq and the Shiite areas of Saudi Arabia (the so-called Eastern Province), which will inevitably split off from the Saudi kingdom, in this case, will control at least 50% of the world's oil exports and 70% of world gas exports. And this - the complete collapse of the American economic dominance in the world. In some printing dollars Washington will not last long. EU will have to get out of the orbit of American dominance, given the dependence of the European economy from the oil and gas supplies from Russia and the Middle East. And then a military-political Russian-Shiite alliance has the potential to become the new economic center of the forces which want to be friends with everyone. Against this backdrop, Saudi Arabia has taken steps toward rapprochement with Russia, but it has traditionally done crudely - by attempting to bribe the promise of tens of billions of dollars. And, having met resistance, began openly to dump oil prices on the European market against Russia. Of course, it is too early to say that Saudi Arabia and Russia are heading for a direct confrontation. But the difference in views on the causes of the civil war in the SAR has caused serious tension in bilateral relations. Although the Saudis have recently been trying to expand the scope of its relations with Russia as both the two countries can not overcome the sharp differences of Syria. After coming to power of King Salman Saudis now operate in foreign policy more aggressively, abandoning its traditional line, in which preference is not confrontation and compromise. This is largely due to the negative effects of the "Arab Spring", as well as a reaction to the deep-rooted in Riyadh belief that the United States under the Obama administration decided to distance itself from the Middle East. New Saudi rulers under these conditions, even went to the obvious adventurism, leading the military coalition in Yemen to oust rebels Huthis using Iranian support. But so far Saudi Arabia has not completely abandoned its traditional policy, which plays a major role behind the scenes quiet diplomacy. Yes, she began an unprecedented military campaign in Yemen, including Iran, thus giving a signal that it will not tolerate encroachments on traditional sphere of influence of Saudi Arabia on the Arabian Peninsula. At the same time, King Salman and his two "heir" - Naif and Mohammed - also began active diplomatic campaign, making a bet on a rapprochement with Moscow. However, any analyst understands that Saudi Arabia and Russia will continue to be competitors for one simple reason: because of the oil. These countries are the world's largest exporter of oil and are competing for markets. And if oil production in Saudi Arabia is the cheapest, in Russia it is expensive. This means that between the two often arise disagreement about the optimal price. And then there was last year, Riyadh decided to defend its market share and reducing production in an attempt to stabilize oil prices, which from June 2014 fell by more than 50 percent. This caused new tensions between the two countries. The decision of Saudi Arabia was politically motivated and goal - to "punish" Iran and Russia for the support they have given to the Assad regime in Syria. Although there is no evidence of this. The Saudis are entirely dependent on oil, as well as Russia and Iran, but to a lesser extent. 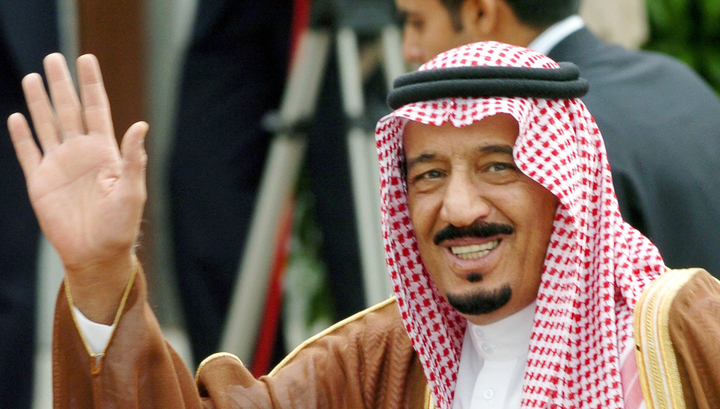 It is expected that in 2015, Saudi Arabia is the largest budget deficit in history, far exceeding $ 120 billion. Moreover, the low oil prices forced the Saudi political leadership to postpone or even cancel some large oil projects. And many princes of Al Saud dynasty are extremely dissatisfied with the sharp drop in their income and, according to British sources, even ready to make a coup, overthrowing King Salman. But the main source of tension between the two countries became the support that Russia has Bashar al-Assad, as well as the assistance provided by Saudi Arabia, some extremist groups of armed opposition in Syria. The direct involvement of the military in the Syrian conflict, Russia can throw relations between the two countries in the period when they were enemies. Not by chance at the beginning of October 50 fairly well-known Islamic scholars of Saudi Arabia issued a statement urging Muslims to participate in jihad in Syria. This is despite the fact that last year the Saudi government has brought participation in foreign wars in the category of criminal offenses. Although the Saudis are trying to keep their fighters seeking to go abroad for jihad, they are at the same time, clearly alarmed by the fact that these people can stay at home, because this year they have already carried out three attacks on the mosque bombings. Russian military intervention in Syria has caused discontent not only with the Saudi leadership, but also the population of Saudi Arabia as a whole.The representative of this country at the United Nations publicly questioned the claims by Moscow that it is in Syria's fight against terrorism.However, given the fact that Saudi coalition in Yemen has not yet achieved its objective and does not restore the power of the President Hadi in Sanaa, Riyadh in the near future is unlikely to intervene militarily in Syria. It's one thing when the Saudis were fighting with the Huthis and their allies in Yemen. It's quite another when it throws its energy and resources into Syria, where Russia, Iran and "Hezbollah" actively support Assad.This latest most infuriates Riyadh. It sees leadership KSA - Russia has decided to enter into an alliance with the worst enemies of Saudi Arabia in the region - Assad, Iran and "Hezbollah", despite the promises of billions of dollars from the kingdom of Moscow. And then there was a demonstrative visit of President Bashar al-Assad to Russia on 20 October. Saudis can not understand the main thing: Moscow does not sell its allies, even for big money. After all, with America everything is different, it will sell all of its ally at any time for a sweet soul. But this - the problem of Riyadh and decrepit rulers of the kingdom.